Air conditioners are remarkably reliable, especially when considering that they are put under a significant test every summer. They run for many consecutive hours day after day, and rarely experience any problems. When there is an issue, it is important to quickly diagnose it and know what needs to be done to repair it. 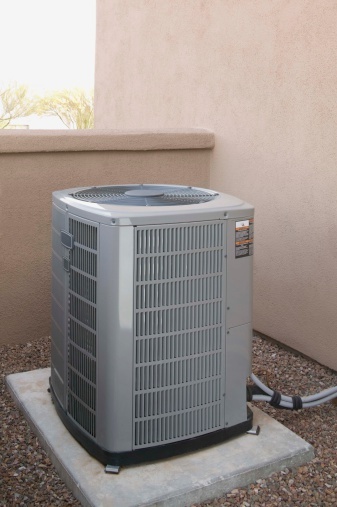 Here are some proven troubleshooting methods to help get your A/C running again smoothly. Check for the simplest to fix and most commonly overlooked problems first. If the A/C will not turn on, check the thermostat. The thermostat might be turned off, or set at a temperature lower than the temperature that your A/C is programmed to turn on at. Next, make sure that an electrical breaker has not been tripped. Flip the breaker off and on again to make sure it is securely in the "on" position. Inspect the condition of the blower unit if the A/C is not producing much air flow inside the dwelling. The blower unit is located inside the main A/C housing outside of your home, and looks like a "hamster wheel"-type fan. 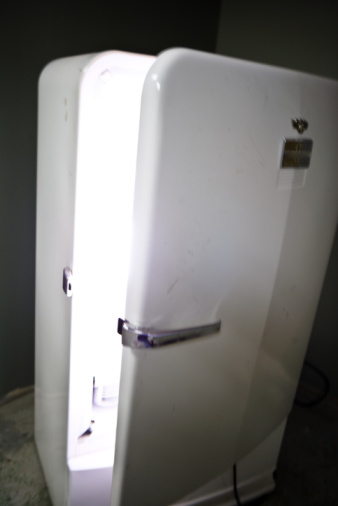 Clean the unit and check for bent or damaged blades that would reduce its effectiveness. Follow the duct system that runs from the A/C unit to the vents in the home; these are usually in the attic or basement. Look for ducts that are pinched, have a kink or have become disconnected. Also, clean or replace the A/C filter monthly during the summer season, as a dirty or clogged filter will hamper air flow. The A/C filter is located somewhere along the duct that returns air from the house to the A/C. Check the fan for proper operation if you are not getting any air from your A/C. Spin the fan by hand. The blades should continue to spin on their own for about 5 seconds. If not, the bearings are going out, and the best course of action is to replace the fan motor. 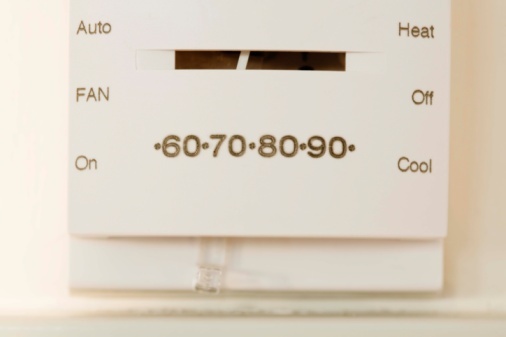 If the A/C air is not cold enough, turn on the unit and allow it to run for 10 minutes. Shut it off, go to the A/C unit, and locate the suction line, which is a copper line that extends out of the unit in your home (see photo). Feel it with your hand. It should be ice cold. If not, the system probably needs more refrigerant. 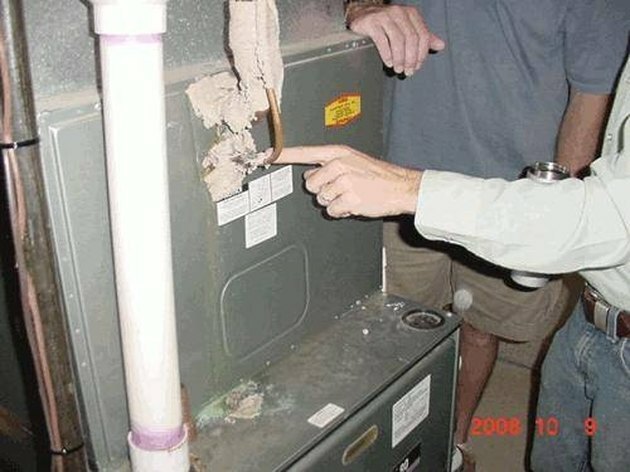 Call a professional for this, as both the addition of refrigerant and repair of any leaks need to be done by a licensed repairman. 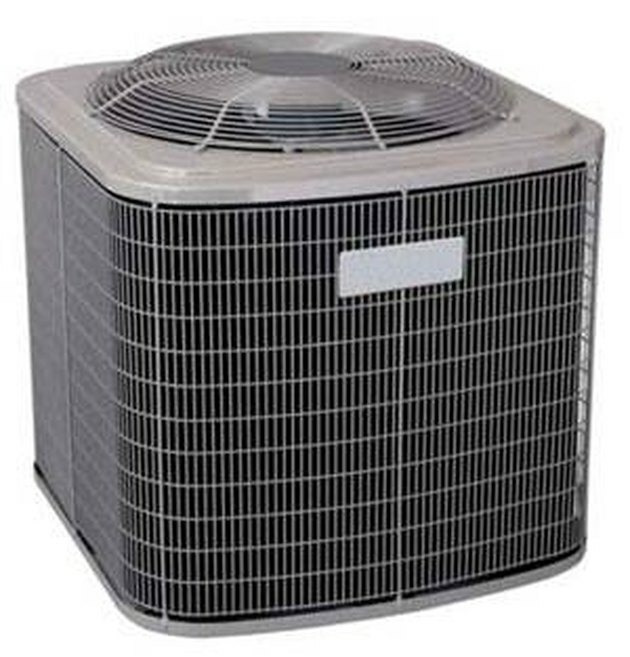 Open the A/C housing on the outside unit and determine whether the compressor and/or fan are running. 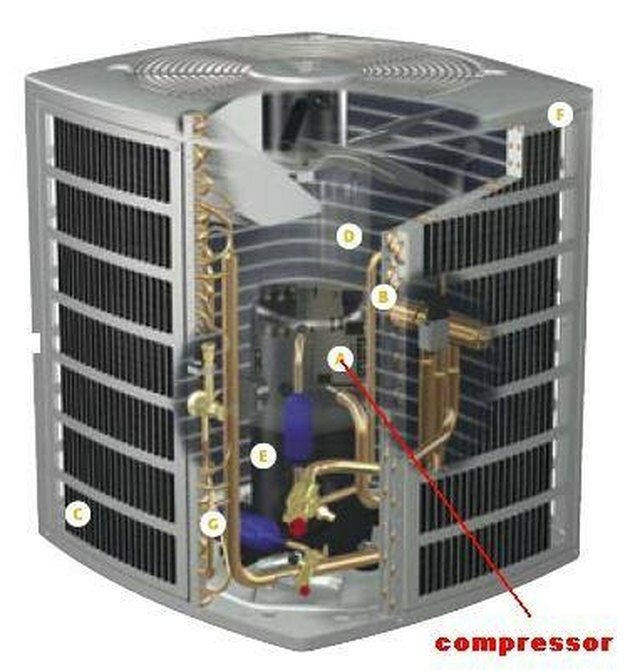 The compressor is inside the main A/C housing and looks like a round canister with tubing coming out of it (see photo). If the compressor is not running but the fan is, air would be flowing through your home's vents, although it will not be cold. If the compressor is not running and is very hot, the system is probably either low on refrigerant or the compressor is failing. Both of these issues require the services of a professional.